After eating flop after flop you'd think I'd learn...but here we are again. What can I say? The allure of a banana cookie was too strong for me to resist. 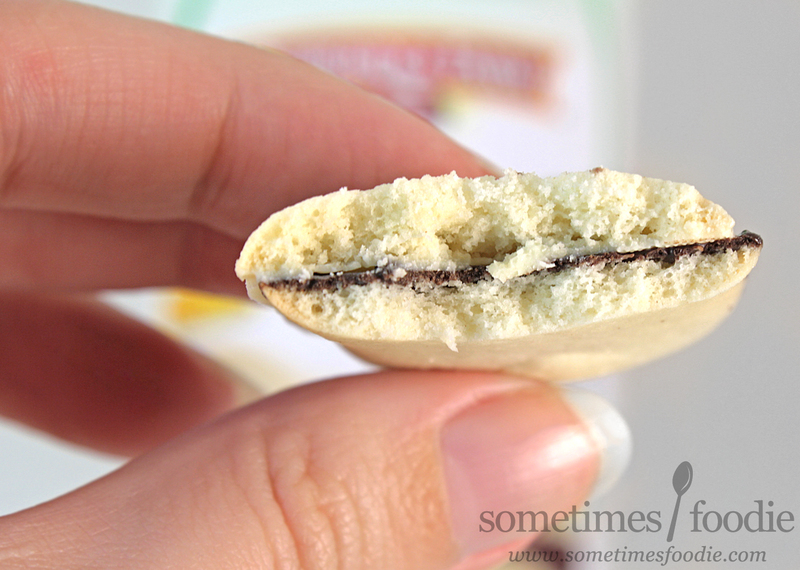 Looking at my older reviews, I don't think I've had any luck with these limited edition Pepperidge Farm cookies. They always look gorgeous, but they taste...like fancy cardboard. (Or in the case of the Cinnamon Bun cookies I reviewed on my Instagram account..burning plastic cream cheese.) Maybe this will be it, the one cookie to rule them all, after all it has banana flavoring. How can that go wrong? I opened the package up and it smelled sweet and buttery, like those cookies that come in those sewing kits, I mean, blue metal tins, and there's a hint of banana flavored white chocolate in there as well, but it's not as bold or authentic as I had hoped. Then again the bag does say "Banana flavored chocolate," so I should have known better. 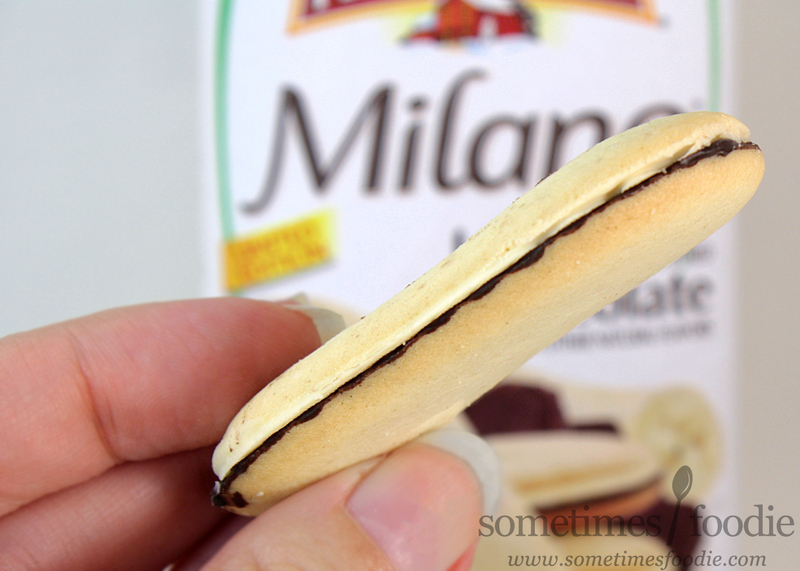 I'm typically not a fan of Pepperidge Farm's cookies, and I don't get all the hype for the Milano in particular, but you know what? These aren't bad at all. The cookie portion is light, crisp, and kind of buttery, just like all the other variations of Milano out there, and the filling has a decent amount of banana flavoring that holds it's own against the chocolate. The flavoring tastes a little process and artificial, more like banana flavored pudding than anything truly banana, but if you look at the ingredients list, banana is nowhere to be found, so that makes sense. This is processed, and artificial, but it's more authentically banana-y than Runts, and much sweeter than the slightly tangy banana Hi-Chew I just reviewed. If this fake banana were a real banana, it'd be brown and overripe.